We are proud to be a sponsor a Gundersen's Steppin out in Pink walk. 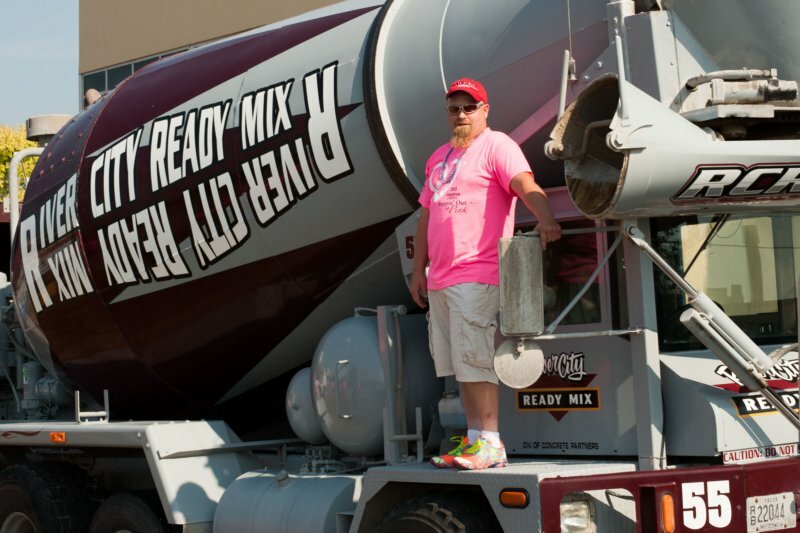 Jeff Larson proudly displays his truck for all of the walkers to see. 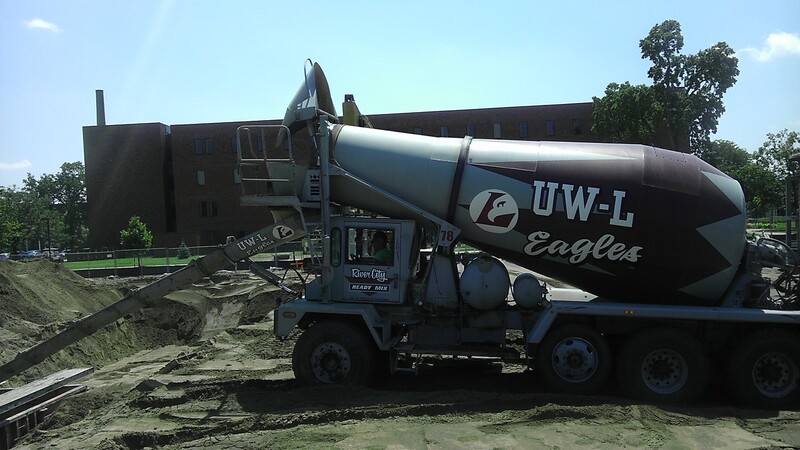 Miron Construction building the new UW-La Crosse Parking ramp. 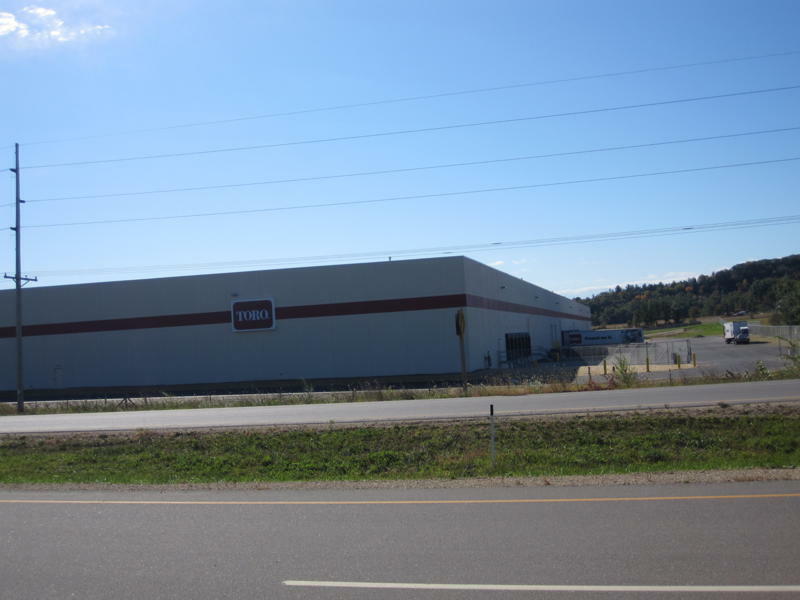 The Toro distribution center in Tomah, WI constructed by Middleton Construction. 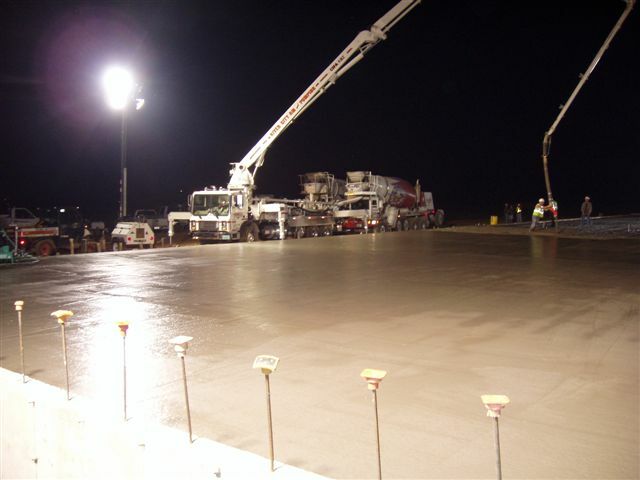 Helping Mc Cormick Construction with a slip-form pour. 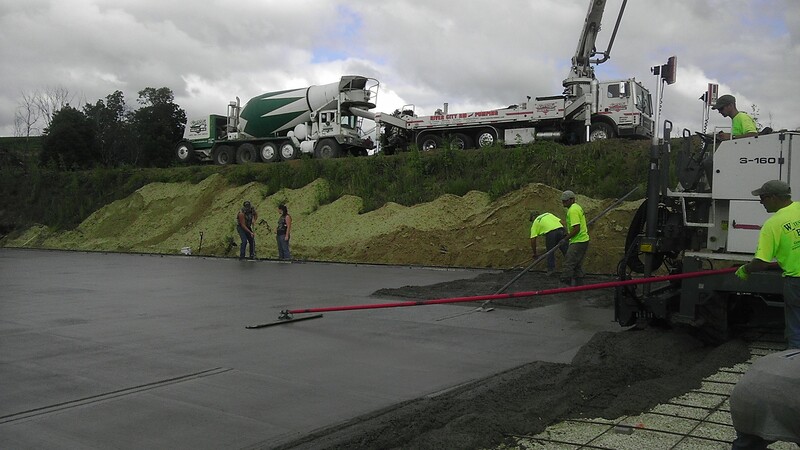 Wieser Brothers poured approximately 1,200 yards of concrete in one day at Organic Valley in Cashton, WI. 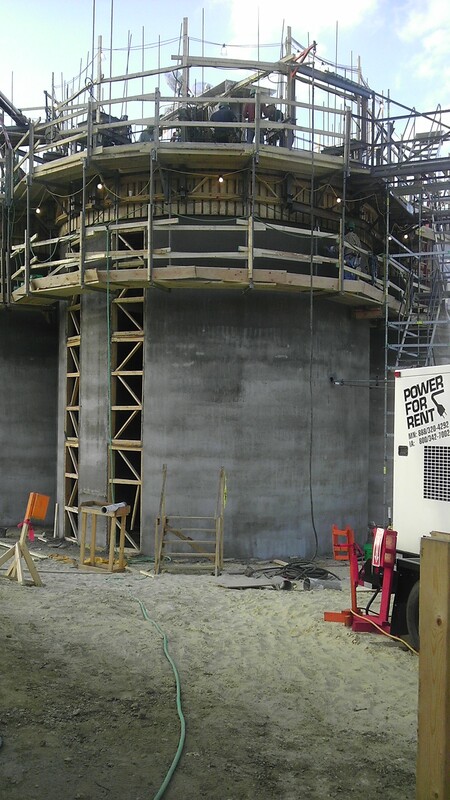 At the Organic Valley project concrete finishers are working at one end while concrete is still being poured at the other. 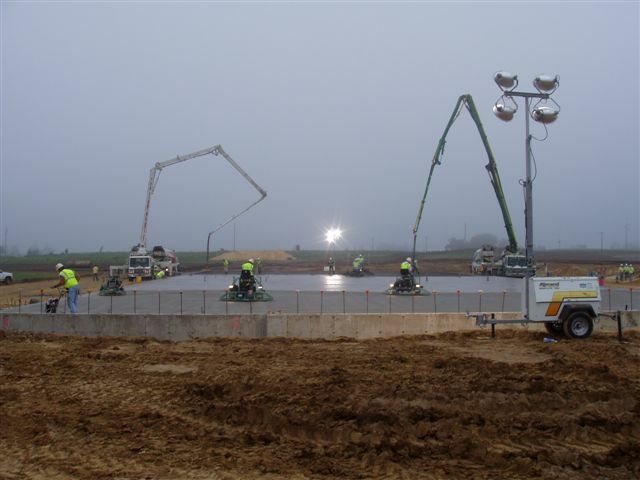 Hale Acres curb and gutter being poured by Steiger Construction. 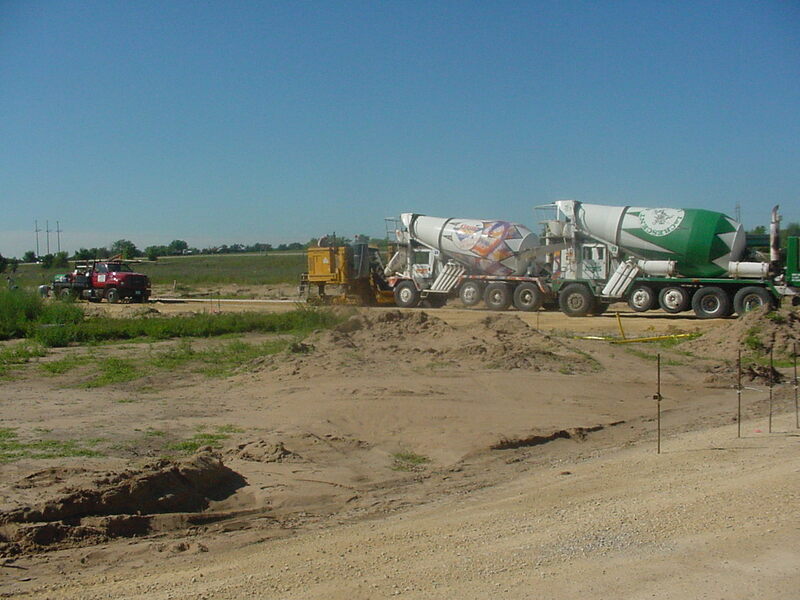 A new manure pit constructed by Wieser Brothers with the assistance of the River City Ready Mix concrete pump truck.